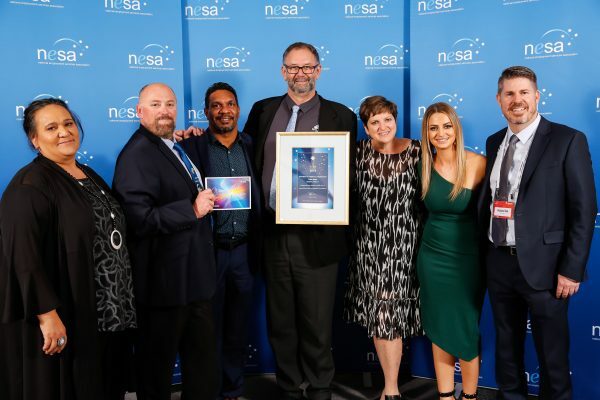 On the 16th of July, Skill Hire had the pleasure of being nominated for the 2018 NESA Awards for Excellence! With our efforts alongside the Wirrpanda Foundation and the VTEC program, we have been listed as a contender for the Innovation in Indigenous Employment and are thrilled to be involved in such a prestigious event. The event, which is running for its fourteenth consecutive year, highlights the continued commitment to improving the well-being of our community, the excellent levels of service offered and the very real successes resulting from hard work and innovation. To be considered as a finalist for these awards, our regional JobActive manager, Paul Buswell, led Skill Hire through a comprehensive and rigorous assessment process and to a fantastic outcome! With the awards hosted in Brisbane in early August, we look forward to finding out the results! Be sure to stay tuned for more coverage on this event!